Almond milk, soy milk, rice milk, coconut milk… the list goes on and on. It seems like recently people are shying away from traditional cow’s milk and exploring different alternative options based on their dietary needs. Not only are alternative options equally beneficial to your health, they also tend to have a longer shelf life (score!). So, why the switch? According to an article in USA Today, about 60% of the population is lactose intolerant (some more than others of course). People who are lactose intolerant have trouble digesting lactose, which is the main sugar found in milk. Those who are lactose intolerant experience some not-so-pleasant symptoms such as bloating, nausea and upset stomach. One way to avoid these symptoms altogether is to switch to an alternative dairy-free milk option. With so many option out in the market today I will go ahead and breakdown the four most common alternative milk products and their individual benefits. Almond Milk – Almond milk tends to have a thicker consistency than regular milk, which people usually either love or hate. The benefits? When compared to regular milk, almond milk is lower in both calories and fat content. However, the calorie and fat content will vary across brands and type of almond milk you choose. For example, vanilla sweetened almond milk will be higher in calories than traditional unsweetened almond milk. Best part? Almond milk does not contain any saturated fat or cholesterol like cow’s milk (specifically whole milk)! 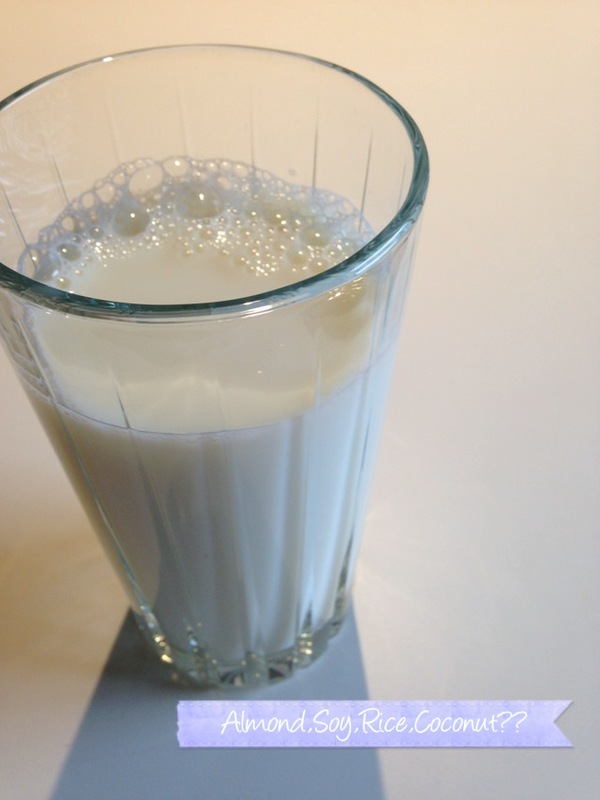 Soy Milk – Soy milk has a very similar thick consistency like its fellow almond milk alternative. Also like almond milk, soy milk does not contain saturated fat which has been linked to heart disease. Soy milk is also considered high in protein and calcium like cow’s milk. Cons: Some studies say that soy can increase breast cancer risks in women; not suitable for those with soy allergies. Rice Milk– Rice milk has the closest consistency to milk and is not as thick as almond and soy milk. Rice milk also happens to be the best option for those with severe allergies. Additionally, rice milk has the lowest fat content of all the dairy-free milk options. One cup contains only 1 gram of fat and zero grams of saturated fat. Like almond and soy milk, rice milk is also cholesterol free! Cons: Low in protein; not suitable for diabetics due to high amounts of carbohydrates. Coconut Milk: Coconut Milk is another lactose free option, but probably the least healthy when compared to almond, soy and rice milk. Coconut Milk is high in fiber, vitamins C, E, B3, B5 and B6 as well as minerals such as iron, and calcium. Coconut milk does tend to be higher in fat than most alternative options, but can be healthy when consumed in moderation. I am also one of “those people” who has chosen to switch to alternative milk options due to a very sensitive stomach, but I still consume some dairy products on occasion. I personally prefer the taste of almond milk and soy milk… vanilla almond milk and vanilla soy milk are delicious and I happen to like the thicker consistency. Both taste great in my morning coffee or smoothies! What is your favorite dairy-free milk option?